On October 27, Kapaa High School students coordinated a school-wide pledge day to encourage their peers to pledge their support for 55 by ʻ25. Over 300 students pledged during this campus-wide event. 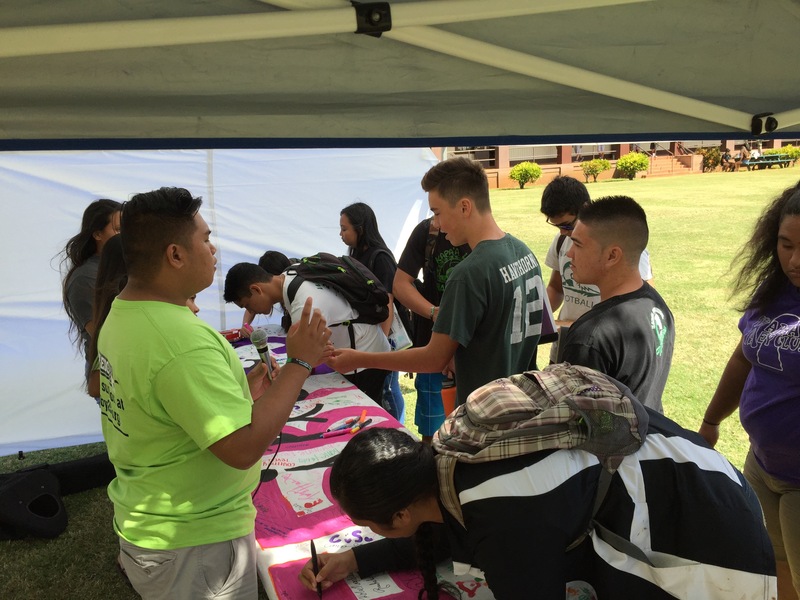 Students created posters, designed a banner for their peers to sign, and helped spread the word on their campus about the importance of the 55 by ʻ25 goal. In addition, all Kapaa high school seniors participated in College Application Day and had the opportunity to apply to a college of their choice.